ItemF-05625 - Hauling Freight Through The Mountains For The Construction Of The Grand Trunk Pacific Railway. 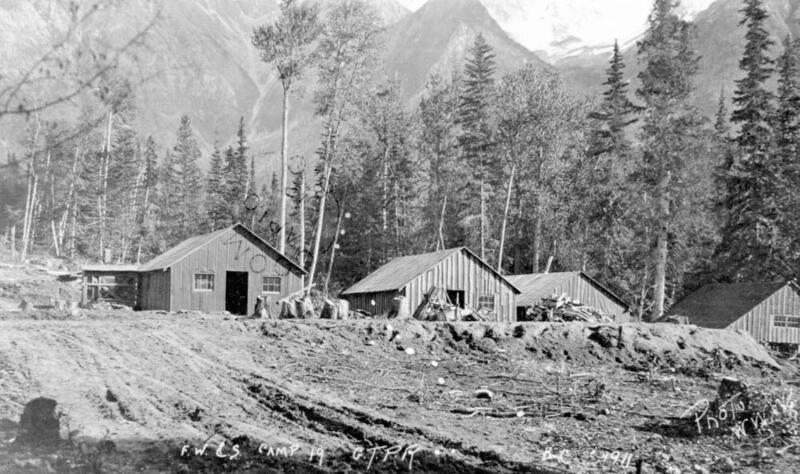 ItemF-05892 - Camp At Mile 28 During The Construction Of The Grand Trunk Pacific Railway. ItemF-05891 - Camp At Mile 28 During The Construction Of The Grand Trunk Pacific Railway. ItemE-06928 - "F.W. & S. camp 19, G.T.P.R"; Foley, Welch and Stewart; construction of the Grand Trunk Pacific Railroad. Item E-06928 - "F.W. & S. camp 19, G.T.P.R"; Foley, Welch and Stewart; construction of the Grand Trunk Pacific Railroad.